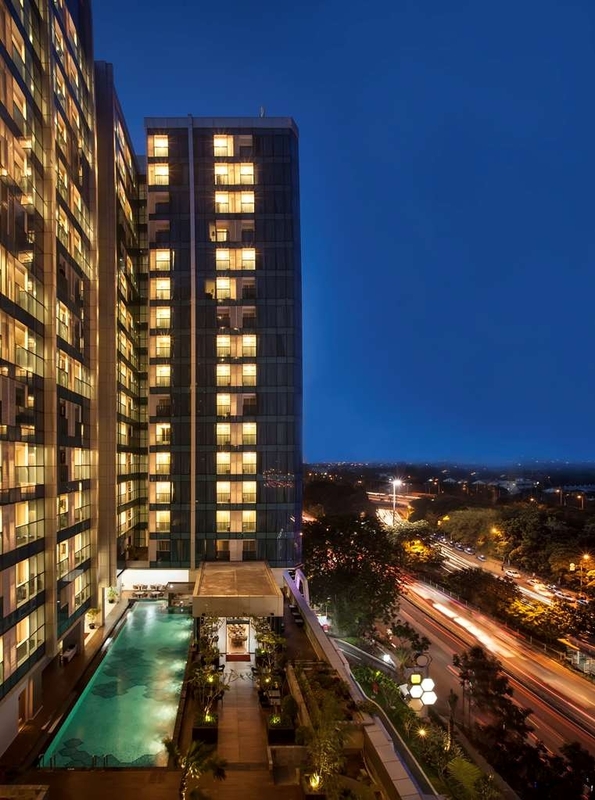 El Best Western Premier The Hive se encuentra en el centro de Jakarta. Venga y disfrute de las mejores atracciónes turísticas cerca de nuestro hotel. Precios bajos garantizados y ofertas exclusivas. 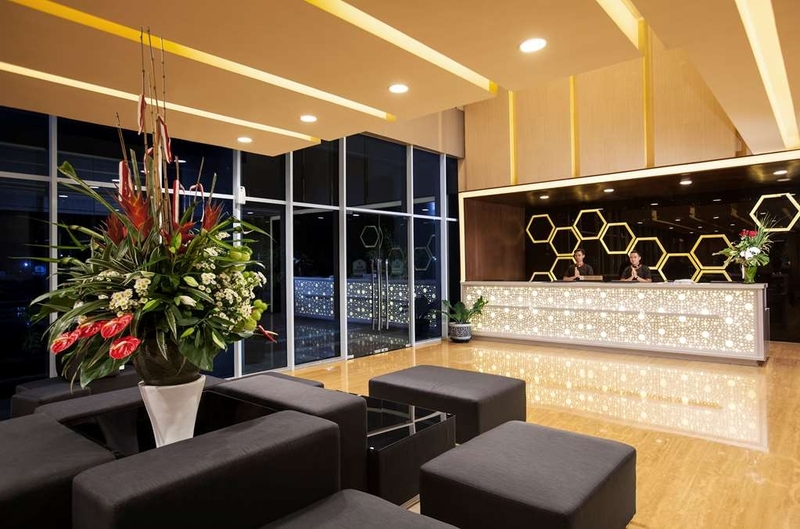 Ubicado en la zona este de Yakarta, cerca de la autopista principal que une la ciudad con Bandung y Bogor, el Best Western Premier The Hive es un impresionante y nuevo hotel de primera clase con una gran variedad de servicios e instalaciones. Nuestras amplias habitaciones cuentan con un completo equipamiento que incluye mullidas camas, suelos de madera, acceso gratuito a Internet Wi-Fi y televisores con pantalla LED. 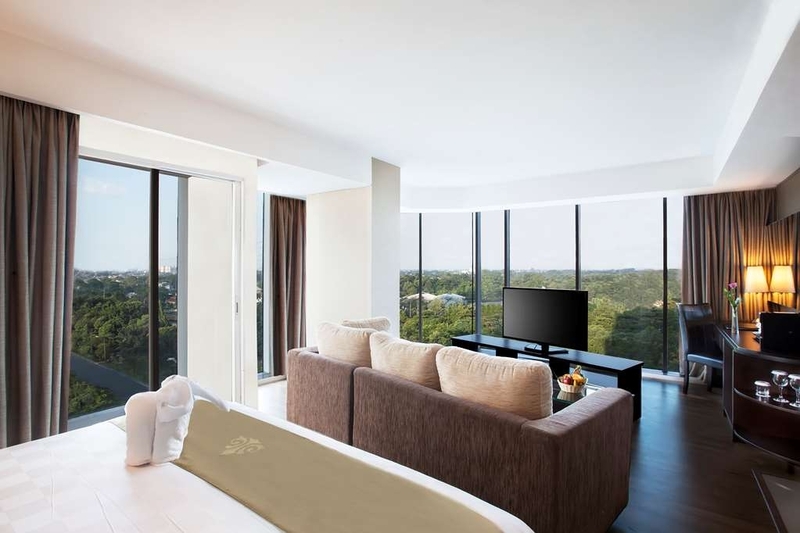 Nuestras espectaculares suites cuentan con ventanas panorámicas con vistas a la ciudad. Los huéspedes Premium de nuestro hotel también podrán acceder a nuestro salón ejecutivo con una completa gama de servicios personalizados. Este hotel es el lugar idóneo para celebrar eventos sociales y de negocios con salas perfectas para todo tipo de acontecimientos, incluyendo exclusivas cenas de gala. Aquí podrá encontrar también un centro de negocios abierto las 24 horas, un restaurante con exquisitas especialidades de cocina local e internacional, un elegante salón, un lujoso balneario y un moderno gimnasio. El Best Western Premier The Hive ofrece el espacio de alojamiento idóneo para aquellos huéspedes que busquen el mayor nivel de comodidad y la mejor conectividad en unas exclusivas instalaciones. The best thing of this hotel was its clean room. The bathroom was so clean as well. The staff was friendly and helpful. The amenities room was quite complete. And the location is convenient because it's near to the bus stop. Very clean room and completed amenties. With animal towels set up on the bed. Very comfortable room. There is change with my previous stay before. The hotel is completed facilities with food court on down stairs. Stayed for one night for bussines purpose, its a Comfortable Hotel, the checkin process is fast, The Room its quite large, clean and not small like any other hotel room, especially the Bathroom its large for a Hotel, The Hotel it self situated adjacent to food hall that have a lot of various food so if you hungry you didnt have to look to far last and the most important the breakfast buffet its exceptional, a lot if various food Western and Indonesian, pastry, bakery, salad etc, really loved the breakfast buffet, and the staff it self is above and beyond friendly and helpfull. All and all a Recomended Hotel, next time in cawang or cililtan its my first choice!! This is my second time to stay and having an event in this hotel. The first one was sometimes in mid 2016. This time my company is having a workshop in collaboration with one of our vendor. Firstly, our vendor was the one who dealt for with the hotel, and since my company is responsible with the payment then they hand over the quotation to us. From the first moment I called the sales person in charge, she was complaining that my company should not have the same price as our vendor. In which I am completely understand. But then the way the sales person is complaining about why we have the information from our vendor seems like we tried to cheat by using other company to get lower rate. She then finish it the moment I told her to get her concern directly to my vendor. Our further conversation in arranging the meeting is done thru email and whatsapp, including when she informed me that the meeting room's name is changing, without updating me the new meeting room's name. 2 days before the meeting, I was about to inform our participant and government institution which we invite to our workshop about the meeting room changing. I tried to call the sales person from 10 AM until 1 PM but no answer. I finally called her supervisor to confirm about the new meeting room and telling her the reason on why I called her was because I cannot reach the sales person in charge. 10 minutes after, magically the sales person reply my whatsapp as well as calling me, but all she was saying was it was because of my call that her supervisor was very much upset to her like I have to feel sorry for that, and that is definitely none of my business!. Fast forward to my stay and my workshop. I checked in at 9 PM, and the moment I got into my room I texted the sales person to have a let check out, and I also call the reception to have 2 times wake up call in the morning (at 5 AM and 5.30 AM). And what I have the next day were: 1 time (only) wake up call at 5.10 and no answer whether I can get the late check out or not. During the meeting, they provide neither spoon nor fork for my coffee break, and when I confirm this to the sales person, she was confidently answer that they are not providing any spoon or fork for the coffee break without asking me first about the menu (and yes, one of the menu was somay which I think will be so gross to eat it using our hands! ), and when I say we have somay here then she said that the operational team should ave provide it. During our conversation, she still giving me no answer about my request for late check out. 15 minutes after, she came to my meeting room and said that she was about to go for sales call and just text her should I need anything, she was seem in a rush. 12.30 PM, I received a phone call from the hotel asking me whether I am about to check out or extending my stay, I said I have asked for a late check out to the sales person. After lunch, at around 13.30, I approach the reception to extend my room key and confirming to them whether they already have update from sales, and the reception says up until that time still no confirmation from sales. I tell the reception that I would like to meet the Director of Sales and Marketing at 14.30, but by the time I went back to the reception they said all the sales team was out of the office. And surprisingly, when I said any GM, EAM or RDM could see me, the reception said "I am afraid you cannot see them without any appointment . Well. lesson learned, I got ignored by their sales, missed my wake up calls and no one can see me because I simply didn't make any appointment!. And while I was waiting for my bill settlement, the reception said that the DOSM is actually in the hotel having a meeting with one of the client and ask me to wait, half hour passing by and still no info so I decided to leave and asked for the business card of the DOSM, and they don't give me, and just giving me the Asisstant of Sales and Director's business card. I will definitely never coming back to that hotel and certainly will raise this issue within my company so we will never have to have any business with them. I booked a room at feb 2nd 2019 (basically this night). But this hotel surely SHOULD BE OUT FROM YOUR LIST!!! * AC PANAS (SDH COBA 3 KAMAR) * KAMAR PENGAP SEKALI SUNGGUH (Seperti berbulan2 gak dihuni) * WIFI TDK TIDAK BISA CONNECT. (Padahal sinyal internet simpati dan XL kurang baik di sana) I tried to communicate SEVERAL TIMES with the room attendant, but the problem is indeed in their SUPER BAD FACILITIES!! Literally no solution. So, Seriously guys, if you can afford 5 stars hotels, YOU BETTER STAY AWAY FROM THIS HOTEL. THERE ARE MUCH MUCH BETTER HOTELS (EVEN CHEAPER) THAT PROVIDE YOU BETTER CONVENIENCE. "PERFECT DESTINATION FOR BUSINESS, COUPLE, AND FAMILY"
I was loyal guest for Best Western, so at this special occasion in Business Trip. I going to Best Western Premier The Hive. As reguler impression upon check in, welcome drink served and friendly customer service help me to registered the room. Easily within 10 minutes only. Then I can get to my room. Wow ! The room was very clean ! The view was stunning one ! Unfortunately, I didnt catch the breakfast as I had the early flight! I trust if the breakfast experience could be met my expectation. Looking forward to my next visit again soon. Highly recommended ! I stayed with my family in this hotel to enjoy a year-end vacation. Base on the recommendation from my friend I chose this hotel, we would like to thank you for Halimah (Employee of this Hotel) who recommended this hotel and accommodated us very well, as per our request that we asked a connecting room, the hotel really helped us to get it. 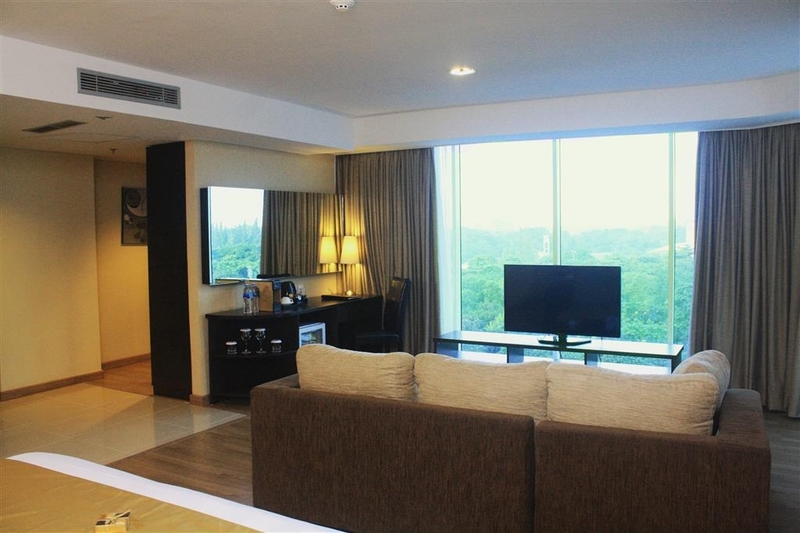 Staying on the 17th floor, guests can enjoy views of Jakarta from above. 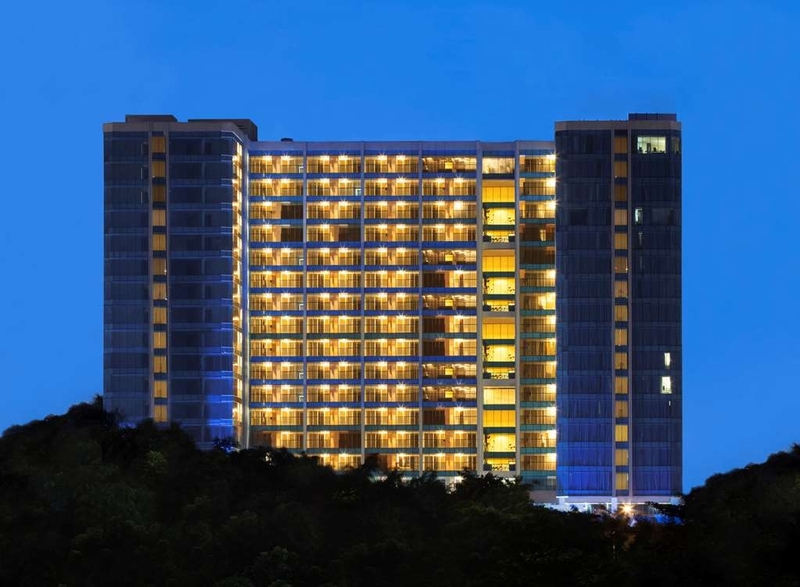 The spacious room size makes guests more comfortable to move, employees are also quite helpful, from the concierge service, Reception, Housekeeping and Restaurant staff are all very friendly. I recommend this hotel as a good hotel to rest, if I may give a suggestion that the lighting in the bathroom needs more light because usually women who want to dress up/make up need a brighter light, but overall this hotel is good. "Decent hotel to stay at"
The hotel room was good, plenty of space and good space for all your cloths, shopping etc. But the problem was the central A/C. I changed the room three times the day I arrived before I found a room with somewhat decent AC. It was barely working but expect the room to be hot throughout the day and maybe a little better after evening. Other than the AC problem, everything was great. Stuff manner is great, laundry was good and it was easy to get taxi from here. There were restaurants downstairs so it was pretty convenient. OK, typical top of a, mall Hotel, with small entrance, lift to lobby, strange layout... was in executive room, big, but lots of, wasted space. Nice staff at BREAKFAST , it was small buffet, but good variety Seen over 4days, best thing about Hotel. Gym is tiny, just ticks the box, not for fitness lovers, very small, next to where staff seem to be sleeping???? "Comfortable stay, convenient location "
Good place for official work, location is convenient. Rooms are comfortable and service is prompt. Their buffet breakfast menu is quite good with large spread. Wifi works throughout the hotel. Front staff is courteous. First stay at Best Western and have a good Impression. Easy to entering TOLL ring road and Taman Mini Indonesia Indah from this Hotel. Always meeting in their Function room. Staff was helpful and friendly, full of smile. "WIFI has worm/AC outside Windows is noisy"
Login page of in-room WIFI (BWPTH) has worm. The security software blocked the internet connection and access. The Hotel need to fix it asap. AC outside the windows is noisy; and the bed is just next of it. Cannot sleep at night. "Upgrade Room. Many Restaurants Around It." They gave us best view from our room. Corner room With Large Room ( Upgrade from). So Comfortable With Large Sofa. We Love It So Much. Many restaurants In Base Level Connecting With The Hotel. So Easy To Get Many Food and Drink. Recommended To Stay Here. 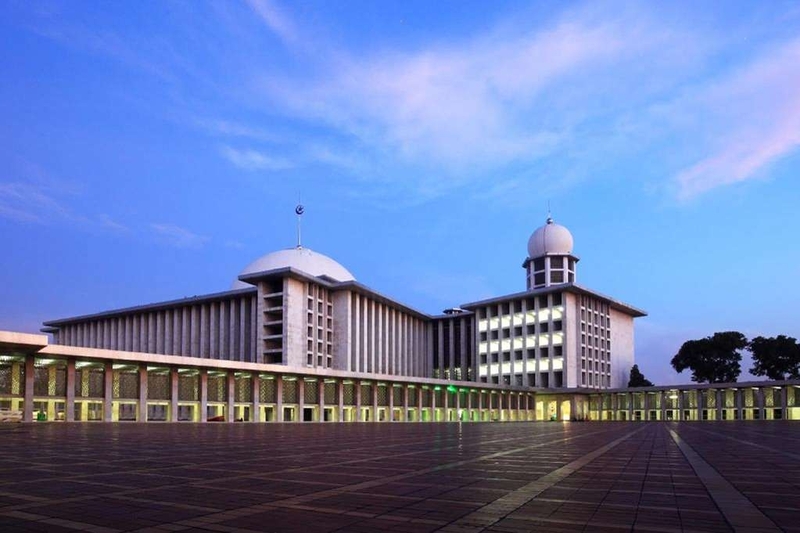 Halim Perdanakusuma Airport Is About 10-15 Minutes Only By Driving Car. Good, neat and clean room, access through back, right on road side, nothing nearby, just you have a food court in 2nd floor. Wide spread of breakfast but mostly cold - good to have hot. Overall stay was ok. Surprised with complementary dessert served at room. The location of the hotel was ideal for me as the venue for my meetings were not too far from the place. The staff were very accommodating and attentive to my needs. The food was great and the rooms were enormous ! The rates to stay here are very reasonable ! 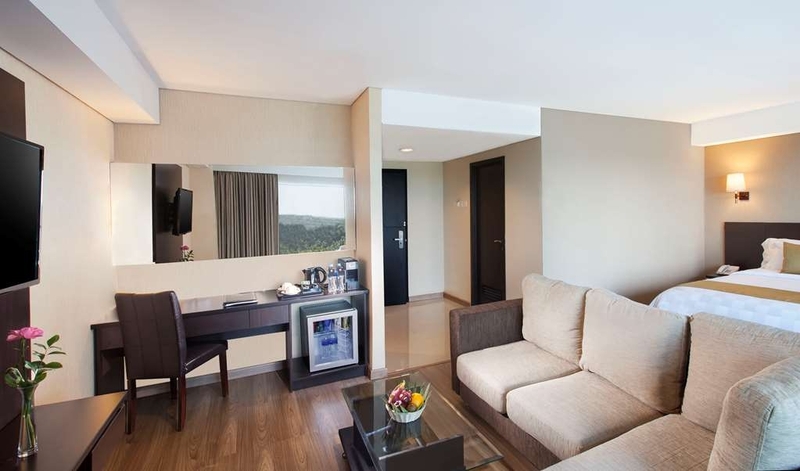 Facilities and services Best Western Premier The Hive, Cawang - East Jakarta over all Very Good. Receptionist while coming the hotel, was given complete and excellent guidances and information for all hotels facilities, althought when preparation chek out to go to Airport. But... the menus and various food for breakfast on the restaurant is average. During Eid Mubarak holidays our family did not travel back and forth (a.k mudik). Therefore we decided to staycation in Jakarta. 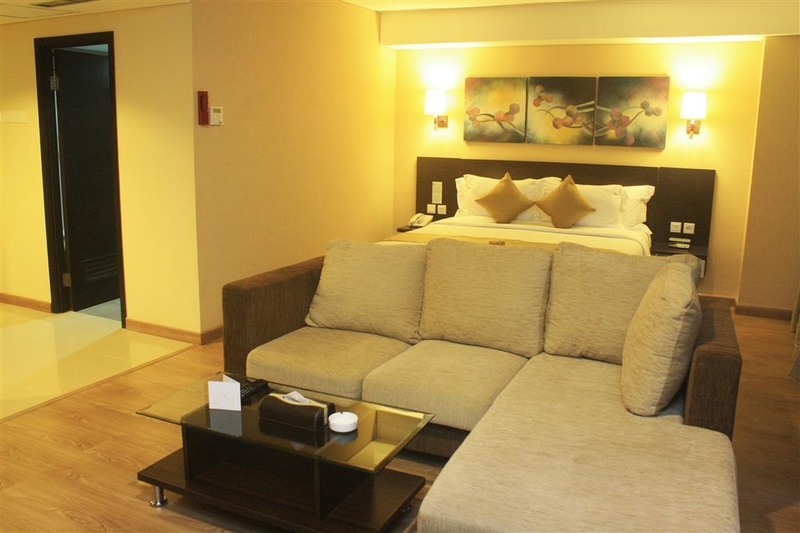 We decided to stay at Best Western Premier The Hive Jakarta. It turned out we could feel the incredible satisfaction of staying in this exciting hotel. Highly recommended for families. Especially for those who want to travel by airplane from Halim Perdana Kusumah Airport. This hotel is very rekomended. The room is okay. The service is very good. The hotel attendants are also very friendly. No regretted to stay here. I booked a one-night stay in this hotel in a Deluxe Room Double-Size Bed through Agoda. On my booking I clearly indicated that I did not want a smoking room as I don't smoke and I have sore throat. To my surprise, when I checked-in the receptionist gave me a smoking room and he said that the room odor would not be strong. So, I said okay and got into my room and voila! the room smelled terrible! I could breathe cigarettes smoke! I asked the receptionist to find me another room which is non-smoking. I said to the receptionist that it's okay if the room has twin-size beds as long as the room type is the same (Deluxe). When I got into my new room, I was so surprised that the room size is smaller - even the TV size is smaller. This new room definitely looks like a Superior room, but when I complained to the receptionist, she argued that because of the twin beds, the room might look smaller. I told her that I'm used to travel and hotel stay so I know exactly room sizes when I see them. For whatever reason she could not change my room anymore so I told her that even though I had to accept the new room she gave, I was very disappointed. I'll definitely not stay in this hotel anymore. quite nice room, located in very strategic location, most food listed in menu simply tremendous, with very reasonable price in subjected number, and very good value to be experienced along stay in, i do recommend placing this hotel into very short listed choices when do need hotel to stay for short/medium/long business trip purpose, or just in spending leisure time/holiday with family member/colleagues. "Ok but my room quite dirty"
I hate dust that I can feel under my feet. May be my bad moment, I stayed at 8floor and my room quite dirty, I can feel the dust under my feet. I did not call the room service to clean it for me because I will only stay there max 2 days. anyway, please pay attention of the cleanliness. "Nice hotel & good location"
When first time I came to this hotel, the security very helpful. Staff also very friendly, helpful. 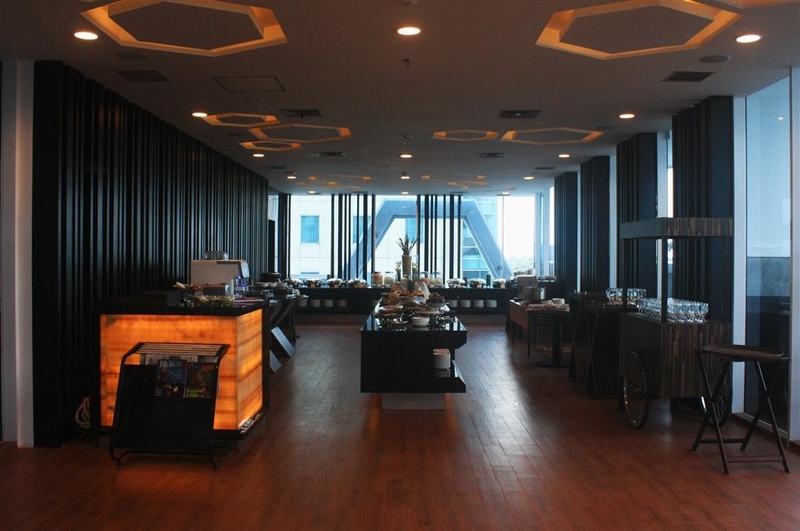 Food is very good, and the good point is this hotel nearby Halim Perdanakusuma Airport. This hotel is good for business, family even solo. I expect to have a proper hospitality of what so called 4/5 stars hotel. Not even close, there's no premium experience and if people said “what do you expect? You paid 600.000!” Then don't even dare to label yourself premium. Your ladies and gentlemen need to groomed and smile a bit when we need assistance, add a little salt on your dishes, give us that premium experience as what you have claim yourself to be. 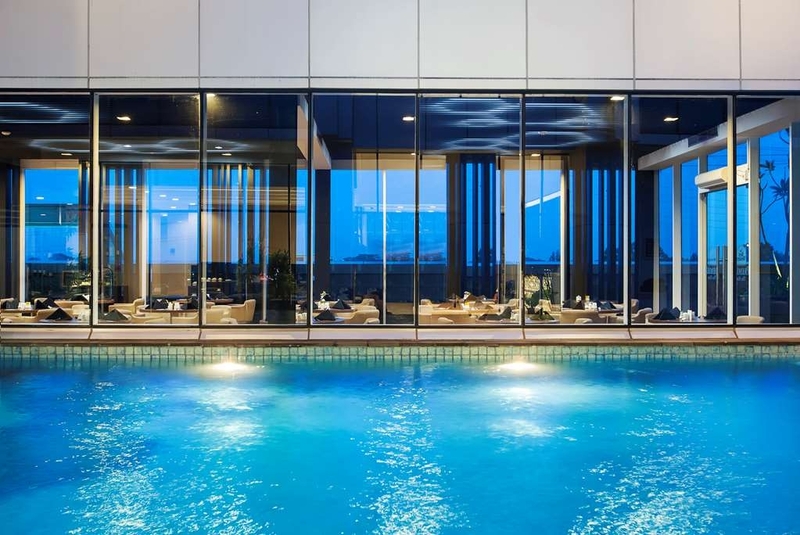 The lift is really wasting time, as i waited too long just for my lift, slippery floor upon my arrival at the concierge and on the lift's floor because of the other guests from the pool. Absolutely unpleasant! I almost slipped! This place has too much too over so just try to get your stuff together, people. I stayed here in December 2017 on a business trip. My associate insisted that I stay in this hotel as this is located at a place after the Toll plaza on the highway, so we could save half an hour of waiting at the toll plaza. Hotel is average. Nothing much to complain or to be happy about. It is not locate s in the most happening places. But to reach airport or to go to industrial areas, it is very convenient. But not a very happening place. It look s more like the outskirts of the city. "Excellent service. Horrible after service!" I stayed here because this hotel is the closest one to Halim Perdana Kusuma Airport. Check out at 22 November'17. I stayed with my friend, and they asked for cash deposit IDR300. It was actually a great time staying at the hotel. But i change my mind as it come to after service, horrible! Apparently, they need the receipt to take the cash deposit when check out (no one told me this). So my friend couldnt take the cash deposit. On the same day, i called them and they asked me to mail them the receipt and my bank. But until i'm writing this review (7 Des'17) They havent returned my cash deposit. I called them many times, i need to repeat my case again and again, with every different person on the phone, and all they answer is "we will follow up and update to you later" but i receive NONE UPDATE. I dont know where to complain anymore, hoping this review will be read by the management! 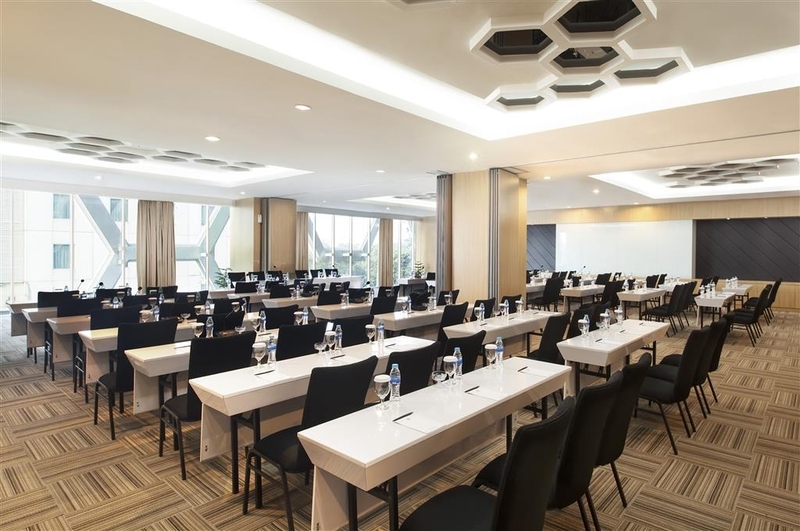 Conveniently located near the business area in Jakarta, it has spacious and neat rooms. Do not expect very luxurious amenities, it is not meant for that. It is convenient with a mall, money changer, a few restaurants, a daily needs store and even a food mall. The hotel staff are friendly and the buffet breakfast is good. Arrive early to get enough breakfast, some of the items are not replaced towards the end of the buffet time. The pool by the buffet area is decent and good for kids and families. Overall, a decent pick for a short stay. i don't know why this hotel rated as 5 star hotel, overall services wasn't way better than 3 star hotels. cons: 1. the staff gave me a smooking room 716 but on that floor seem smell smoke even in the room the smoke smell is really strong! we try to sleep with that bad smell during a night with 1yo baby! because we cannot change the room due to full occupancy. 2. the hotel giving us a room change in the next day 1611, but the problem isn't end, i'm complaining about the Air conditioner isn't work properly and i call the receiptionist 3 TIMES! and there is no one come to check regarding this issue. 3. the sofa was really dirty even the linen and a towels. pros: breakfast taste better and the only friendly staff is on the concierge lobby. excellent.. I had great time staying at the hotel. the room was quite big, food at breakfast was great. I will definitely stay here again when I'm around this area. The price was very reasonable and I got a free upgrade to a suite room. Stay over night at this hotel during business trip. Using hotel meeting room for business presentation. Overall hotel facilities reasonable and also clean and neat. Slightly inconvenient to travel to City center. "Service and attitude of the staff is so bad"
This is a good hotel in Cawang area, the hotel had comfortable bed and clean room and bath room. Good staff and so fast respond, i want early c/in at the hotel, and the the reception staff give me good room. Thank you for good service. Good hotel..nice room...clean..well equipped..good rate price balance..you can go out for lunch or dine in a small food court..but small parking lot..but overall was very good..nice service in front office..good job..
"Nice place for transit mix with holiday"
the hotel is located near halim perdanskusuma airport, a comfortable swimming pool, an urban atmosphere, a building with a culinary center, making this place one stop place and making guests lazy to get out of the hotel. the hotel clerk is very friendly, making the atmosphere like home. very satisfied for the services, facilities and concepts provided. will definitely come back sometime in the near future. "Great Deal, with Minor Inconvenience"
I booked the Super Delux room because it isn't that much different from the regular suite in price (note that it is after browsing several other hotels in Jakarta). Now for those whom might wonder THIS ROOM HAS A BATHTUB, i wonder why it didn't mentioned anywhere, since it's actually a criteria when i browse for one. Now the room itself is, well, quite spacious, very spacious, in fact. My room's length, well, for easy imaging purposes, you can fit 3 king sized bed from long end to end and still left some space for a coffee table. It is very good deal i think. And quite nice. Now for the shortcoming. The view, sadly, obstructed by the pillar by the building, and only left a small opening for viewing the city. The room is spacious but feel quite empty, i personally think it need a bit more decoration. The light were insufficient for the room's spacious space, i find it a bit hard to read book at the couch at night, it isn't problem in the bed though thanx for the bedside lamp. The lightning on the bathroom is the most lack, for bathroom spacious like that, it usually has 2 lamp, instead of lne, and i think it will be nicer atmosphere if the light isn't white. Now for the services. Well i think the management should make more clear manual for preparing the room. When i entered the room the first time, the floor outlet was open. It is no problem for us, but should i am a guest with children, that would be dangerous, as the outlet were hidden from adult view under the couch. Also the safe not yet reset, rendering us unable to use the safe. Overall, it is nice room, nice hotel, with a bit manageable inconvenience, some, which i hope, the management could fix. Would visit here again. "1st Time Family Gathering at BWP The Hive"
First of all, thanks for Best Western Premier The Hive Cawang for your best services to us. I came here with all of my Family, my parent and my brother. I think this Hotel was very nice and easy access near East Jakarta. You can go wherever and whenever you wanted, then in the Ground Floor there's so many choice of retail who serve food and beverages, coffee, and mini market. It's very helpful and touchable because we can access to this just go to Ground Floor. 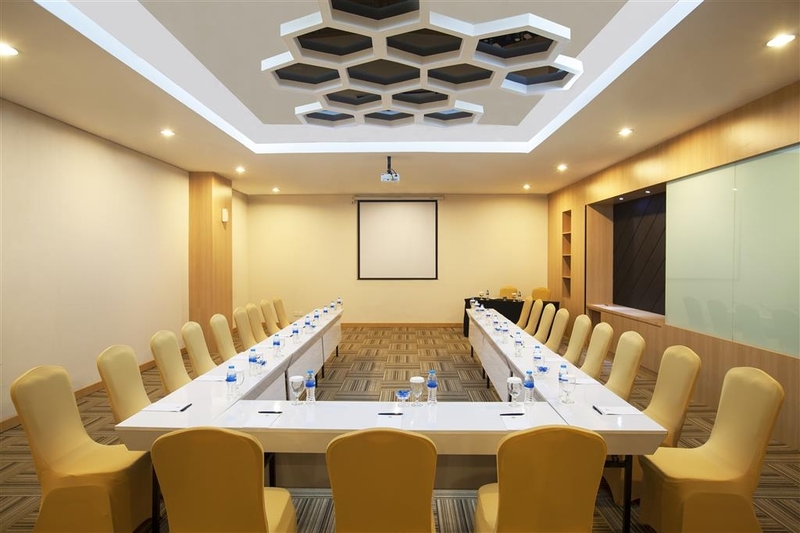 For rooms, I use Deluxe and Corner Room, for corner room we all together make fun and family gathering there to discuss anything about our lovely family. So next week we will be there again to have Family Gathering again with my wife's family. Thanks for Mr IB Santoso for your fast response. Very very recommended GM to serve customers complaining. Thanks you Mr.
"Celebrating Earth Hour at Best Western Premier The Hive"
I stayed at Deluxe Room at Best Western Premier The Hive. The room is very spacy for two people. There is one sofa in the corner which is great for relaxing or watching TV. For you who have kids, you should not worry about the safety of the windows. Because all of the windows in this room is can not be opened. The mini bar and refrigerator served various drinks and snacks. For those who came here for work, I can tell you that the WIFI is so good. It was fast enough to use internet. And I like that they have a small mirror as addition in the bathroom. You should not bring your hair dryer, too. They have it. The Earth Hour Event itself was very entertaining. All the guests get free snacks near the swimming pool. There was also live music and prizes. Good event. I stayed at Best Western Hotel The Hive Cawang from Tuesday, June 13th until Friday, June 16th. The hotel is connected with The Hive - a small plaza - where you can find restaurants like KFC, food stations, a convenient store, Indomaret, and drug store, Century. It makes you easier to have many options when you want to have dinner or want to buy snacks/mineral water or drugs. I booked a deluxe room. It is quite big for a deluxe room. So big that there are many free spaces that could have been filled in with furniture. I like the fact that Best Western provides several kinds of pillow. I hate it when hotels only provide one kind of pillow and it is the hard one. The food is great. Delicious. Lots of assortment for breakfast and dinner buffet. However, there is no egg station in here. Hmmm. Odd. But, most of all, I am satisfy with the Customer Service. All the staffs are very friendly, polite, and helpful. Now, if I have to stay in Cawang area, I will definitely stay in Best Western The Hive. "Far and close to the airport in jakarta"
Far if we arriving from soekarno hatta airport but close enough if we arriving from halim perdana kusuma airport. Clean room and complete amenity in bath room. Mind that the lobby at 5th storey not at the 1st storey. Watch out sometimes staff hotel upgrade to higher class due to the room you booked not available, of course every body wants to. I set my lowest expectation since there are a few bad reviews about this hotel. Slow check in, smelly bathroom, bad amenities, dirty room, hot air conditioner, invariant breakfast menu, etc. Apparently I proved them wrong. I get the very best service and fast response from this hotel. Staff are very friendly and food is various and also good. Complete amenities and clean room. Well, the room is not really cool (but not hot, it is just not cool enough), though already I set 18 degree celcius. Probably the weather that time was really hot. But for me, it is not really worst as I could imagine. It's still okay. 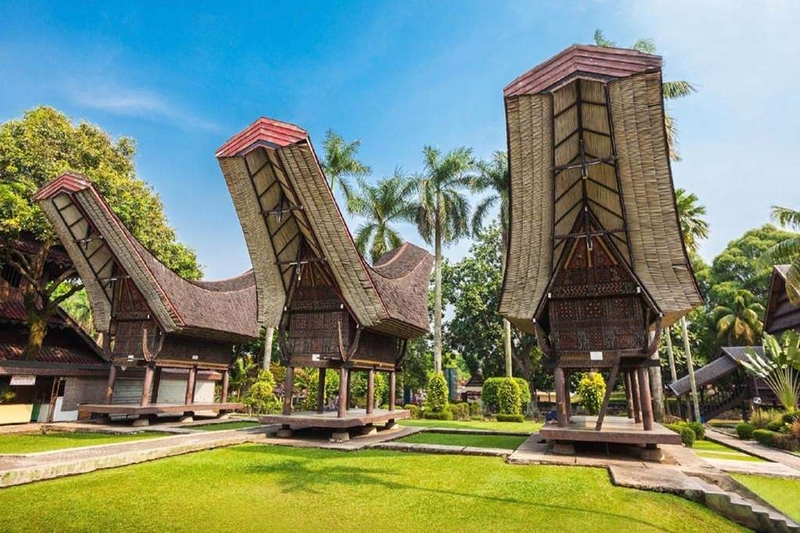 Near to Halim airport, it is the best hotel you can choose to stay when you have early flight there. Oh, I stay on 21st floor, if anyone need the recommended room number. And also a must know info! lobby / front desk is on 5th floor. Stayed several times for business trips when need to be in the east of Jakarta. 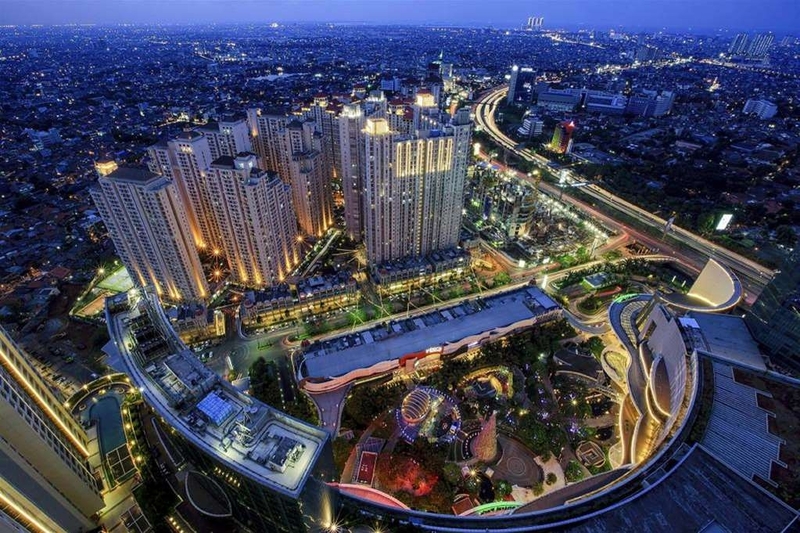 Location on the main circular highway around Jakarta means relatively easy arrival and departure. Room large with good facilities. 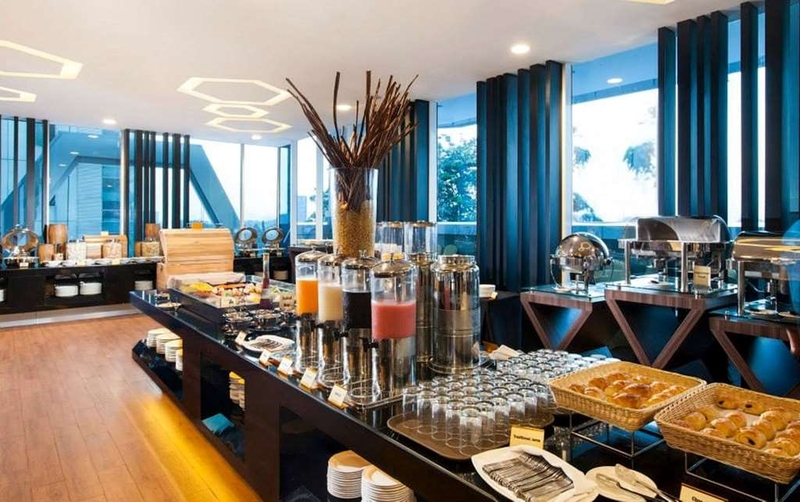 Breakfast buffet is excellent - great choice and good quality. Some problems with lift during visit with one of two lifts out of action meant long waits needed. Selection of Meeting rooms on third floor. Diverse food court on 2nd floor ( but accessible through ground floor). Two days business trip. Smiling and welcoming staff. Checked out in the morning and coming back in the evening to collect the baggage before departure ... dreaming for a shower ... and the General Manager himself opened for me a room to have the shower... incredible!! Impressed! Thank you!! Was at this hotel for a seminar so it is convenient to stay here. That's the only reason why I checked in here. Cannot believe this hotel is built in 2014 as it is already showing signs of deterioration. The room I am in has torn sofa, the condition of the sofa also makes you think twice about sitting in it. It looks just dusty and filthy. The toilet seats in the room is permanently stained with spots. Hangers on the room is not enough. Desk chair is of poor build quality. Not enough cushioning and feels flimsy. So if you intend to sit on it and work long hours, forget it. No shower in the room of mine so you need to take it in the bath tub which does not come with anti slip mat and no hand hold for you to get out of it safely. Housekeeping also needed improvement. I found some left over thrash on the floor of the room when I checked in. How did they miss that? My biggest problem is with the towels. They are grey, tattered and torn. I suspect they started off white. I got a colleague that found a slug in the room! Look out for recycled reuse amenities such as room card holder which feels damp and crumpled when it was first handed over to me. Stained bathroom slippers. Card to access your floor in the lift and also room is not working properly. You need to tap it multiple times for it to detect. I see other guest struggling as well. Breakfast is mediocre with limited choices. Restaurant Aircon is also stuffy with limited sitting. The insulation of the rooms from the outside is also not good. Pop Music from the residents nearby could be heard at 7am! "please be honest to your guest.."
I was request 5 rooms for the same floor and confirmed already by the reception in the afternoon, but suddenly when I arrived in the evening they change 1 room to another floor due to the AC maintenance. Then I asked to let me check the room, and 1 of front office staff keep persevered that room out of order. If the room OO why the guest can't see? Just see. Its not problem right? His face looks like hiding something and keep saying many reasons, and I still want to see the rooms first. Then finally the other guy, I think his supervisor, after whispered discussion with the one handled me before, he tell me the truth that the room 1211 was taken with other guest, and tell me another reasons, another reasons that totally different with they said before.. Please be honest with your guest, then we can discuss for the alternatives. My families stayed four rooms around that taken room, and in the early morning we have wedding preparation means that is gonna be a noise.. I request the same floor to avoid complaining from other guest to your hotel, but no one from you to consider that. Both of them just apologize without any solutions. At the end, I'm the one who ask the reception to explain the guest with a reasonable kindly reason and move them to other floor. For your concern, to avoid another complain from another guest in the morning. My highly appreciated and big thanks to the guest who are kindly understanding guest that agreed to move to another floor. To be fair, the room was cleaned and well set up by the housekeeping. Check out processed was quick. No problem with the wake up call and taxi request. I stayed on 20th Aug, 1212, 1211, 1207, 1205, 1208, 2111, 2112, 2115. "OK Hotel but needs more lifts"
Nice hotel and room upgrade appreciated, nice spacious room. major issue was only two (2) lifts that meant if you were on the higher floors you could wait a long time for a lift and especially one that was not crowded out. With one lift out of service one day, after trying to get a lift for over 25 minutes with no luck it was down the stairs for 15 flights. Breakfast was not one for western tastes but was adequate. Hotel was packed so I suggest avoid staying there on Saturday night. "Had a pleasant stay with my wife at this hotel"
My first return visit to Jakarta after many years. The reception upgraded me and my wife to a large family sized room on the 22nd floor executive club level - without us even asking. the room had an exercise bike too! And a large counter-top enough for a small kitchenette. All it needed was a microwave oven and some crockery and it would have been paradise. This hotel, chosen above others because the price was reasonablw for a 5-star hotel, is not worth it. Ir is definitely not a 5-Star hotel. The rooms are OK, but all the rest is terrible. It already starts with the entrance. A small very poor lift-alley to go up to the reception at the 5th floor, that will never reach a 5 star status. It is small and has no atmosphere or class. The service is poor. One of our party was an hour before the others in the hotel, but get no access as the person who booked (and paid) three rooms was not there personally yet, due to traffic problems. Waiting in the poor lobby for more then an hour. Unacceptable. Dinner possibilities poor.. Standard rooms (according to the reception) only has twin beds, no king size. Will never go here again. 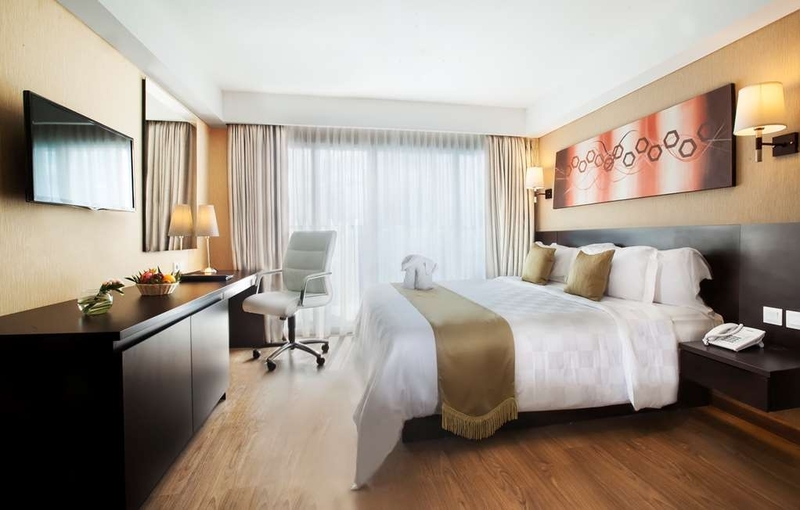 "Comfortable for business traveller, but definitely need improvement to reach 5star!" To be a 5 star hotel, I expect some improvements from them, such as, (1) Speed of serving food in the restaurant. I waited more than 60 mins to have the first dish served. Super late dinner! (2) Choice of breakfast is OK, but lack of international breakfast choices. (3) Pipe of shower head is loose. Should have checked and fixed. (4) Tissue paper should have been refilled. But not leaving 3 pieces... Overall service I had during my stay, was OK. Staffs were friendly and helpful. Look forward to seeing improvement next time. The rooms and facilities are of a good standard, a little tired already but very large rooms. The service is terrible and is the reason I won't return here. It's my second stay here, got raw chicken on my first stay with not a care, this time I arrived to an empty mini bar and had to ask and ask again for the mini bar to be filled, towels exchanged, the room service people were rude and disrespectful when I was asking for a drink order and they got it wrong. Asked for the manager and never got a response. Food lacking for breakfast buffet. Girls in the resto are good, pool is next to check in and not great to relax by. "5 stars hotel, seriously ? " Check in hotel is quite long processed to wait until room available. We've made reservation for 3 rooms and have to wait an hour until we've got complete 3 rooms and 1 room had to change until twice for AC matter. Anyway, appreciated to Ms. Pingkan and Mr. Yusuf as front desk attendants who quick response to change the room. Room doesn't represent as five stars hotel and also the other facilities. And I don't think so, if this classified as 4 stars hotel. May be it worth as 3 stars hotel. Breakfast doesn't seem like the previous comments as good as they said that great with elaborate breakfast menu. I didn't find that, to be frankly. May be GM or new management has to change the breakfast buffet became simple and too ordinary. Seriously, this is not five stars hotel. "it is a 3 star hotel"
"One of the worst hotel experiences ever!" One of the worst hotels I've ever stayed at. The phone and aircon in the room was not working. Had to wait to get a table at the breakfast (never tried that before). At the time of writing this review, we have been waiting for more than 3 hours to get a new working room!!! I'm checkin few days ago and when i open my door i feel like I'm home, cause it's not first time here, staff was friendly and warm welcome but for this time everything was different, room was clean but not with all amenities in bath room, when I'm check in i found towel hanging at back door, and dirty towel, i call to reception but they can't give me explanation and i need to wait more than one hour to get new towel and need to call and call again for everything and event they not offers me to change the room.this is the worsening experience! Management level need to improve their knowledge, how to create guest experience from little things. dirty, smelly room, elevator broken, credit card device broken, noisy outside and inside, breakfast room overcrowded. It is not even worth the cheap price. Worst hotel I have recently been to. At least, junior staff is willing. I stayed 3 nights in this hotel. I wasn't sure for the first time because I quite wondered when I came to first floor and I have to go to other floor to meet reception desk. However, when I arrived on the floor, I was welcomed by nice view around and modern clean place. Good, friendly and professional staffs, welcoming snacks and drinks are good. I got a room with green view outside. The room was spacious and clean, modern with coffee maker, flat screen TV, good bed, etc. I wasn't regret to stay in this place. The restaurant is also great with varieties of menu, local and western and face the swimming pool. Breakfast was also great. I recommend this hotel. Even though the location is quite far from central city. Still isn't a problem because you can order taxi through hotel. "Average Hotel, Not For Westerners"
Room: Average hotel, bed and bathroom was clean and comfortable. Towels had quite a few stains and so did the wall paper in the room. Not a big deal since the bed was clean and comfortable. Service: I booked the hotel via hotels.com and selected a room with a double bed. Upon check-in the receptionist said there were no rooms left with double bed. He wanted to put my husband and I in a room with 2 single beds. After requesting a refund for the price difference of the rooms (since we had already paid in advance for the double room) the receptionist miraculously a found a double room that was available. After this ordeal was resolved, the receptionist then asked for Rp .600,000 in cash for a deposit. I overheard the deposit amount was Rp. 500,000 when another guest was checking in and when we told him we only had credit card the DP amount suddenly changed to Rp.500,000. Terrible staff for trying to scam guests and pocket some money. Maybe if you are local Indonesian they will not try to rip you off but I cannot recommend this hotel to anyone who is a westerner. We are stay in this hotel because my husband is on completing his job with his office team. I'm very satisfied with our room, it's quite clean and neat, but a lil bit dissapointed with the breakfast and facility. Why does the breakfast is almost empty before 9 AM? And because I'm going with my children, I also have to taking care her kindly. The point is I dont see any playground in this hotel.For the next, Maybe you have to think to build some playground for the kids at your hotel. "Great Stay at Best Western Premier The Hive"
This is my second Best Western establishment in Jakarta and was very disappointed by the room. 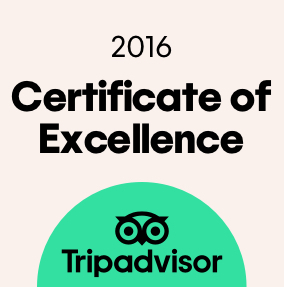 While the service is very good and the staff is very nice as well as try very hard to provide quality service but the rooms are very disappointing. My first room Air Conditioner was very bad, the corridor was cooler then the room. After complaining we were moved to a cooler room. I also ordered an extra bed but it took 3 hours before it was installed in my room! 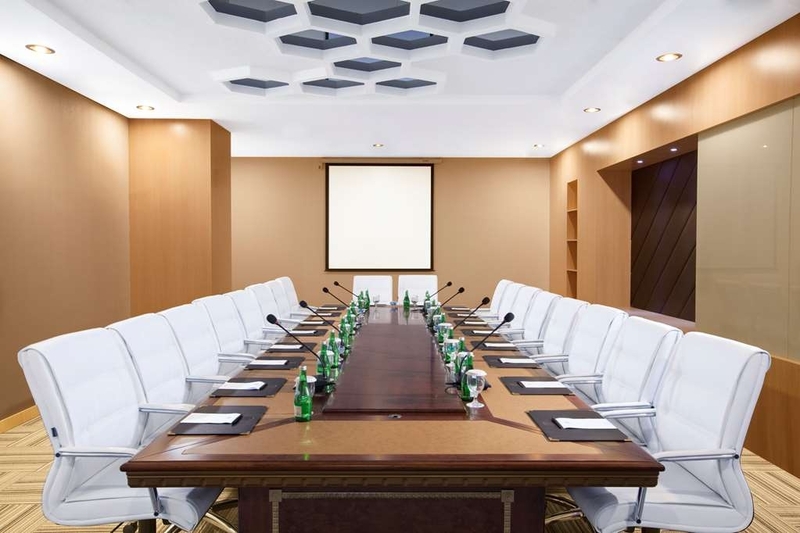 "Good business value in East Jakarta"
A good Best Western Hotel which delivers on Value and helpful staff. Rooms are spacious and wifi is reliable. 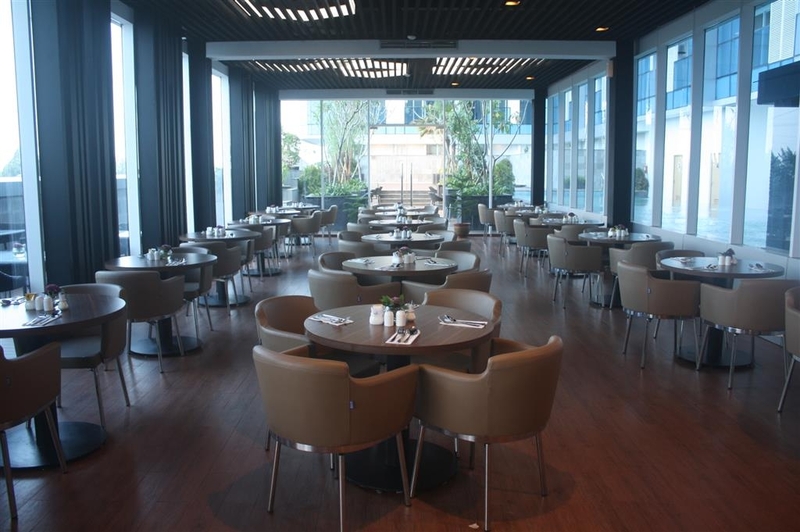 For food, it is walking distance and access to WikiWikiWok Food Centre situated beside the hotel. Stayed 1 night at 8th floor overlooking to the city. Fresh small lobby located at 5th floor. First room had airconditioner problem & the technician could not fix it so we had to move to other room. And the very uncomfortable problem was when a staff came into our room using his master door lock card without knocking the door & any permission. He told he did not know that the room was occupaid. It shows very poor system coordination. Free in room WIFI connection was good. 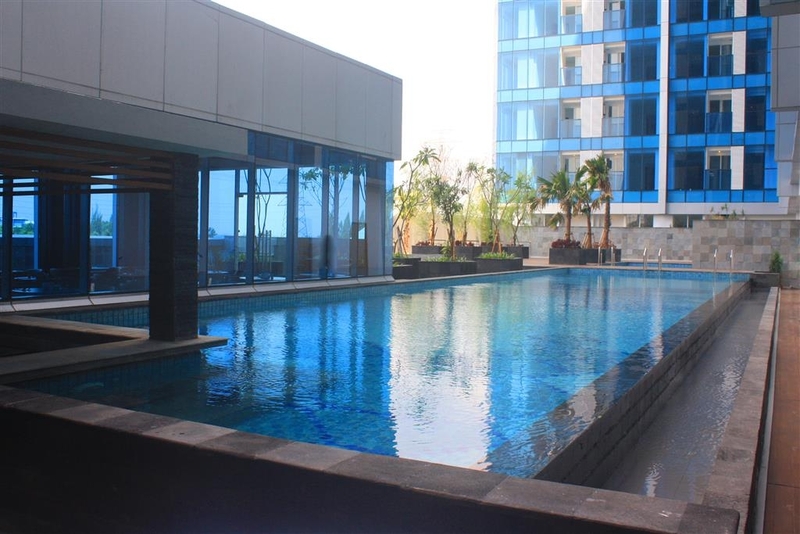 A swimming pool is available at 5th floor beside the lobby. Overall we really disapponted, felt uncomfortable & this hotel is not comply as 5 star hotel standart. Its a Best Western, but done Indonesian style, it is a mix of crazy kitch 70's mix of modern elegance. Stayed here several times guest security is paramount. It is close enough to shopping, close to the airport. If you have ever been to Jakarta you know how bad the traffic can be, Location is vital for getting anywhere or getting anything done. Jakarta has possibly the second worst traffic in the world so location is important. The staff are always eager to help, and the hotel is immaculate, used the meting rooms and the service for business was fantastic. The restaurant I have only eaten at once, I found it odd the lack of local cuisine, I am fond of Indonesian food, it was ok I think toned down to suit the western pallet. I much prefer local food to be bold and proud of its origins. 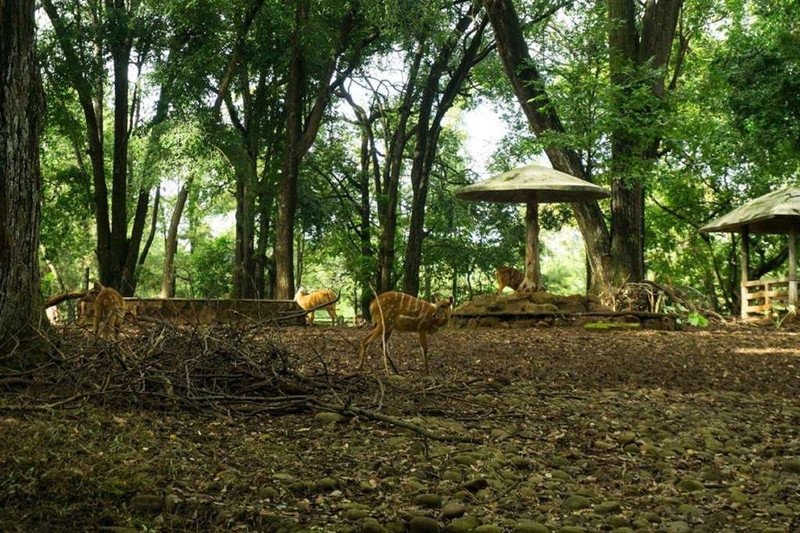 "Nice hotel with cheap price"
I stayed for 1 night on jan 1, 2016 to jan 2,2016 with my family. Once we came to the hotel and checked in, the room still not available due to late checked out from the previous guest. We had to wait their call to inform that the room already available. But we never receive their call, until we came back to hotel 3 hours later and asked the room status. Finally the room was available. That was not a good first impression for us. Otherwise, the room was clean, breakfast was complete and delicious, pool was clean and not so deep. So it was a good and secure place for guest to swim even there was no guard in poolside. "Business Hotel near Halim Airport"
Excellent business hotel close to Halim Airport where my meetings were conducted. Food and beverage at this hotel was good and rooms were well maintained. Accessibility was good and obtaining a taxi for transport was no problem. Would be a return customer to this hotel for business in JKT. 4rd stay and getting worst at this time. Room was dirty & Breakfast was awful... totally different from my last visit last year. Still long waiting for elevators. Hotel needs make a lot of improvement since a lot of new coming Hotel surrounding. "Unbelieveable price for the 5*"
Nice hotel with a very affordable price for a memorable five stars hotel, my experience was amazing, I still can't believe that a place i lived for one night is a five star hotel, a little problem upon check in, i was a little wait too long because they do not find my name in the list of bookings, the good thing is they give me the opportunity to enjoy a welcome drink. Similarly confusing things when I went from the basement to the lobby i was turning arround because i don't know where the lobby is, I finally got into a door that there isba concierge and he told me correct direction. the room is very special, exceptional room amenities, facilities very unexpected for a hotel with a cheap price, breakfast is also very impressive, I was greeted with smiles and hospitality. Overall i'm satisfied, I hope in the future management improve methods of check in and also how they provide free parking to guests as a bit confusing when you first entered i didn't know at all if it had to ask the stamp of the hotel, in the first times i went my car out have to pay some money, but it doesn't matter, only i suggest to the front desk asking if there is a vehicle or not. Thank u so much. "It is ok but the location is a mess"
(+) Good breakfast. The room was clean. The minibar is nice. (-) The pool is a joke as it faces a very loud and busy street - so no way to relax there. The hotel is far away from the city center and located next to a highway. You can hear the highway inside the room. So you need earplugs to get some sleep. Most annoying whenever you have someone pick you up (e.g. Uber) they denand 3000 rupies just that the car can pick you up or drop you off. As there is only the highway there is no real live next to the hotel. The knowledge of English of the reception staff could be improved. 1. We arrived there after 14.00 and the room still not ready since the previous guest was late checkout. I told the FO to call me once ready but they didn't. 2. The room was big and clean, ac was good, bathroom also clean but no bathtub. 3. The pool was not so deep. Only 1.2m so it's save for children. The child pool was also ok for baby and toddler. 4. Breakfast was ok and complete but the prata bread was very salty. 5. I requested for the bathrope but it came after almost 30 mins waiting and sending complaint. "bed experience but decent breakfast"
well what can i say..i went suddenly to the bathroom when im arived.. and guess what? ?there still (sorry) feces left in the toilet.. and when i told the receptionist to get rid of it, it took 30 minutes for the staff to cleaned it. imagine the smell of feces in your hotel room.. but i had to admit that this hotel have very good breakfast menu. "Perfect place n value for money"
"Consider worth of money for the price"
I had been stay at this hotel some where September for 2 nights.. The price is reasonable for the room provided .. With bath tab and quite spacious room. The hospitality given is not bad but the only disadvantage is the shop is far away from the hotel . 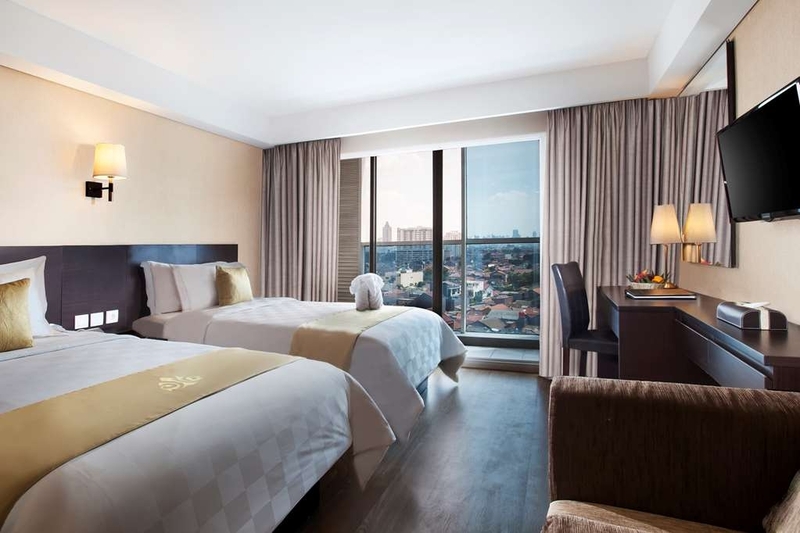 The location of this hotel is good, not in the center of the city but is only minutes away from Kuningan, SCBD area. Room is great, ask for the high floor and breakfast is a must. Very wide variety of food for breakfast. pool is small, but what do u expect. Service is excellent and the staff are great. We spent a week to visit relatives in Jakarta. The location of the hotel is out of the major touristic spots. So, if you expect to walk around to major shopping centres or restaurants near by, this is not the right place. However, the price, room quality, and breakfast menu made up for it. The reliable Blue Bird taxi was also easily available through the friendly concierge. We stayed in the Super Deluxe Room. 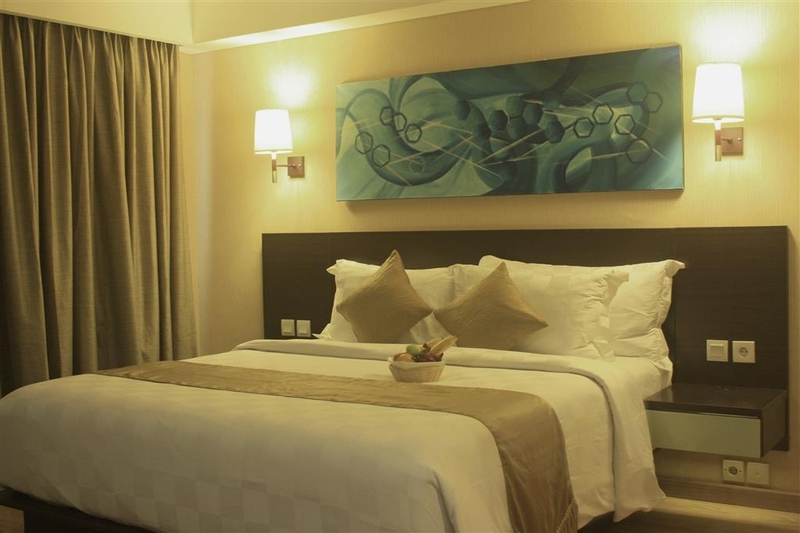 The room was spacious with one of the most comfortable king size bed, a comfortable three seater sofa and a desk. Unlike many hotels which luggage shelf/rack only fits one large luggage, the room's luggage shelf easily fit our one large and one medium sized luggages comfortably. This made packing and unpacking very relaxing. Good connection WiFi was inclusive, as well as non-alcoholic drinks and snacks in the minibar. A very nice touch. Daily we received 2 bottles of mineral water which is quite good in a country where tab water is non-drinkable. The first night the electric tea kettle didn't work and we had to ask the housekeeping to replace. It took an hour for them to deliver the replacement. A bit of disappointment. The hotel also only has 2 lifts. Thus during check in and check out time, it was quite a long wait to get a ride. The swimming pool was good enough for exercise to burn those calories from the sumptuous buffet breakfast. The breakfast array was impressive. It might not the a five star quality, however the variety and taste are quite good. What made the breakfast even more special was the daily rotation of its offering. For a week we spent there, we had at least 2 different items at the buffet tables. The food ranges from traditional Indonesian dishes, dim sum, fresh fruits and yoghurt up to simple pastries, cakes and pancakes. The service during breakfast was also fantastic. Kudos to the Food & Beverage manager. Checkout time was a little bit slow. So, prepare extra time for this. Overall it was a fantastic experience. "5 stars Hotel on the Budget"
"Excellence service but bad elevator"
Stayed at this hotel and satisfied with the excellence service by the staff, but bad elevator which very slow and no alternative if stuck and out of order. Location of the hotel is very strategic easily accessed through any toll road (Tj. Priok - Semanggi - Cikampek - Jagorawi) and near to the famous Gemstone Market Rawabening, TMII, Halim Airport, also PGC. Recommend this hotel to my relations and colleagues. "excellent service and fabulous dinner"
The moment dinner at The Heather Restaurant when i entered the restaurant warm smiles greeted me. The food were very nice and tasty and well prepared. Presentation of the food was really good and clean. The staff were very hospitable. especially the staff who uses a black long shirt ( I lost with his name ) he was very friendly and attentive, care full of my son, really appreciated. Very good job with all the staff of the restaurant!